Buy discount Robart Pinchless Low Port Grazing Bit by Robart. Browse our massive selection of snaffle bits and premium grazing bits. 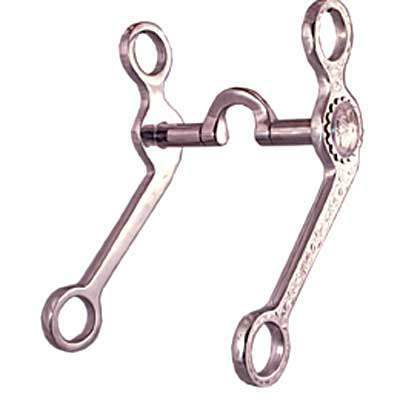 This is one of the best selling Grazing bits by Robart offered here at our online Store. This Robart bit is a Pinchless Low Port Grazing Bit. This Grazing Bit is designed with aluminum engraved cheeks that are 8 1/2''. This also happens to be one of the webs most popular grazing bits availiable. The bit is designed for horses that overbridle. Corrects by pressure and eliminating pain, as opposed to creating traditional pain for training. You can see the craftsmanship that was put into the design of this grazing bit in the product image above.